Full disclosure: I have yet to get to San Diego in the summer for the mother of all Comic Con gatherings. Surprising, I know, given my personal penchant for comic books, superheroes and just plain geekdom. But I have never missed the annual gathering at the Jacob Javits Center in New York City, which is set at the beginning of the new television season in early October and offers an invaluable promotional tool. Comic Con, no doubt, has become a pop culture phenomenon, where fans gather en masse at various times across the country, often dressed in their favorite superhero garb, for the wide array of panels, screenings and miles of merchandise for sale. 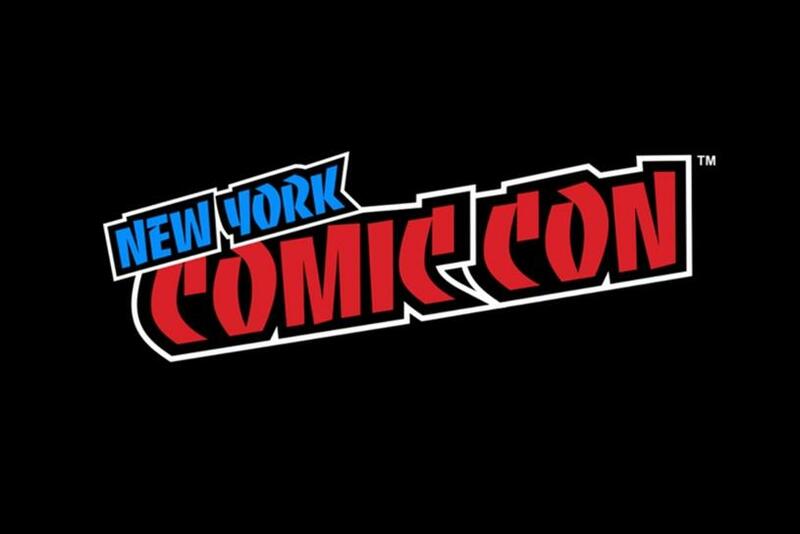 This year in New York, the individual sessions ranged from…deep breath…"Stan Against Evil," "Impractical Jokers," "Blindspot," "Manifest" and "The 100" to "Charmed," "Family Guy," "The Gifted," "Star Wars" and "Rise of the Teenage Ninja Mutant Turtles." For a digital streamer like CBS All Access, panels on new drama "Tell Me a Story" and the latest series in the "Star Trek" universe, "Discovery," is a positive attempt to attract more subscribers. And for any TV series from yesteryear, "Boy Meets World" and "Lois & Clark: The New Adventures of Superman" at this Comic Con in this case, it is a chance for the fans to celebrate a former favorite. One panel I was curious to attend was a conversation with David Boreanaz, who stars at present on CBS military drama "SEAL Team." For a network like CBS, which traditionally skews older, utilizing Comic Con to decrease the wrinkles is probably the wisest promotional decision it can make at present. "Last night’s season premiere was huge," crowed moderator Lynette Rice from magazine Entertainment Weekly as she announced Boreanaz to a standing room only crowd. If Ms. Rice was referring to the traditional Nielsen ratings, which I assume she was, she was completely incorrect. Based on the Live+Same Day data from Nielsen for Wednesday, October 3 (which does not include DVR usage), "SEAL Team" actually finished fourth in the Wednesday 9 p.m. hour in coveted adults 18-49, with a mere 0.8 rating. Results in total viewers, 5.1 million, plummeted from the 9.7 million opening one year earlier. And "SEAL Team" paled in comparison to competing drama "Chicago Med" on NBC. Did I also mention that "SEAL Team" lost almost one half of the adult 18-49 audience tuned to lead-in "Survivor?" If it were social media that enthusiastic Ms. Rice was referring to (which she would not have known just one day after "SEAL Team" premiered), "SEAL Team" is the perfect example of why every outlet should be touting their shows -- of any target demographic – given the increasing importance of social media. It matters, it can make – or break – any series, and the typical Comic Con attendee (in the millennial generation) is a social junkie. "When it comes to success on social media, TV ratings are just part of the overall picture," said Shareablee founder Tania Yuki at a presentation at Comic Con in 2017. Founded in 2013, Shareablee crunches brand performance data across all social platforms. "Social media is playing an increasingly large role in the way networks evaluate the success of their shows," she said. "And nothing drives social media engagement quite like Comic Con, no matter where it is held. For David Boreanaz, interest in him personally at an event of this magnitude also stems from his prior series runs on Fox forensics crime solver "Bones" and, in particular, on former network The WB on "Buffy, the Vampire Slayer" and spin-off drama "Angel." Both WB dramas, were the precursors, of sorts, to the rise of social media, where the traditional Nielsen ratings were not adequately reflecting the appeal of this type of younger skewing programming. Had the Nielsen ratings been the sole determining factor, shows like "Buffy" or "Angel," or anything on The CW, for example, would not survive the season. But from what I saw at Comic Con, which is offers a window into the current appetites for original content, promotion for any series on any outlet at this gathering should be a prerequisite. As for aforementioned "Boy Meets World" and "Lois & Clark: The New Adventures of Superman," both here to celebrate their 25th anniversaries, let me be perfectly honest. I feel pretty damn old! Twenty-five years??? "Had there been social media back then, or Comic Con, maybe we would have realized how popular a show we were back then," joked Danielle Fishel, who played Topanga, at the Comic Con session. "It is never too late to be appreciated."